Between the surveyor’s museum, the former Methodist church downtown, the YWCA, and Enos Park, everyone seems to be in a tiff about TIF. There have been many discussions lately among the aldermen and the general public about the most appropriate use of these funds. First, a bit of history to put everything in perspective. The first tax-increment financing (TIF) district was created in 1952 in California in order to provide matching funds for then-prevalent federal urban renewal programs. As those programs declined in the 1970s, cities throughout the country started looking for ways to help fund urban redevelopment. And as federal funding virtually dried up in the late 1970s and 1980s, policy wonks started focusing on TIF as a method of funding urban development without raising taxes, without requiring a popular vote and without affecting a city’s debt limits. All states, with the exception of Arizona, offer some version of TIF, and Illinois adopted it in 1977. The legislative record indicates that the impetus behind the bill was to find a mechanism to fund development in blighted urban centers in light of a lack of federal funding. Generally, TIF is a method of generating funds that can be used to attract new business to a designated area via government funding of infrastructure improvements (such as roads and sewers) and other direct incentives to private developers. TIF districts can only be created in geographical areas that meet certain criteria, usually physical or economic problems. Although perhaps an unfortunate way of describing it, the most common TIF districts meet the federal definition of “blighted” areas. Census data is used to determine if the area meets a certain number of criteria that makes it“detrimental” to public safety, health or the welfare of the community, or that impairs growth. TIF districts can also be created for “conservation” areas that must satisfy different, but somewhat similar, standards. Before an area can become a TIF district, the local municipality has to answer what seems like a simple question: Will private investment occur but for the incentives provided by TIF financing? If the answer is yes, then TIF financing is unavailable. If the answer is no, TIF financing is available. The process for creating a TIF district, and in the process answering that question, is very similar to how an ordinance is passed. Studies are conducted (known as a Redevelopment Plan), the public and local taxing bodies are invited to provide input, and then the proposal is put to a vote by the municipality’s governing body. Significantly, the Redevelopment Plan also sets forth the budget for how to allocate the funds available to the TIF district. The whole process is governed by a state law known as the Illinois Tax Increment Allocation Redevelopment Act. Under that law, TIF funds can be spent on a wide variety of incentives and improvements. Funds can be used to acquire or rehabilitate real property, to provide financing, to fund roads and sewers and other public works, to pay for professional services usually associated with development, to pay for job retraining and even for day care. However, there are also things that TIF cannot be used to pay for. Paying down the city’s pension obligations would not be a permitted use, for example. TIF is also not allowed for new construction, although some “soft costs” like architecture and engineering fees can be covered. Where do the funds come from to pay for all those costs? In short, those funds come from property tax revenues. True to its name, the funds come from something known as a “tax increment.” A tax increment is the difference between property tax revenues before creation of a TIF district and property tax revenue generated after a TIF district is designated. All property taxes that were collected prior to TIF designation continue to be collected and distributed according to law (generally to school districts, park districts and counties) as if the TIF were never created. However, one major assumption of a TIF district is that property values will increase due to new development and the businesses that will be attracted, and the increase in property values will translate into increased property tax revenue. Those property tax revenues resulting from enhanced real estate values are then available for use in the TIF district. Of course, if the property’s tax obligation is reduced or even eliminated, the amount of money going into the coffers is reduced accordingly. 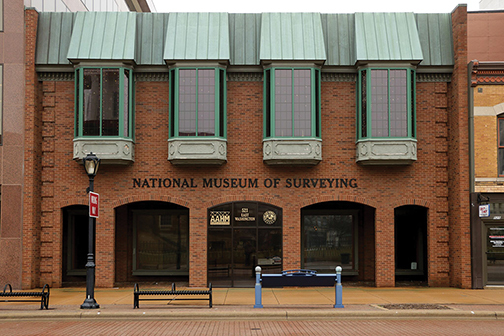 Although legally permissible, the practice has lately been generating controversy in Springfield with the city’s purchase of the YWCA block and the recent proposal to buy the Surveyor’s Museum building at 521 E. Washington St., which would remove both properties from the tax rolls. In any event, funds from the tax increment are then made available to developers and businesses that plan to move to or do business in the TIF district. In Springfield, for instance, funds are directly available, among other things, for lease assistance to businesses who will rent property in the area and for building rehabilitation costs. TIF funds may also be used directly by the municipality – whether to fund infrastructure improvements or for the direct acquisition or demolition of real property, as in the surveyor’s museum or YWCA, respectively. Whether either use is a good idea may be open to debate, but both are within the scope of permissible uses of TIF dollars, according to the state statute. Because it can often take some time for those increased property taxes to materialize, state law allows municipalities to issue bonds. Revenues from the bonds are typically used to pay for up- front development costs and incentives, with the bonds subsequently paid off using portions of the increased tax revenues. In practice, however, the more recent TIF districts in Springfield have eschewed the issuance of bonds. By law, TIF districts expire after 23 years, although they can be renewed for an additional 12 years if approved by the General Assembly. Upon expiration, all tax revenues, including the increases used to fund the TIF, become available to the taxing body. Also, if no redevelopment occurs within seven years of the creation of the TIF district, the district must terminate by law. That being said, extensions can be granted by the Illinois General Assembly. The Central Area TIF district in downtown Springfield was created in 1981, was extended by 12 years once before, and was recently extended again by the legislature for another 12 years, making it the first in the state to receive a second extension. TIF financing is prevalent throughout the state. One report indicated that 30 percent of downtown Chicago is in a TIF district, while the Office of the Illinois Comptroller says there are 1,413 TIF districts throughout the state. Who knew there was so much blight? Springfield has had a total of 10 different TIF districts, although only eight are currently active. The former Fiat Allis complex was successfully redeveloped into Park South, a mix of Class A office space and retail locations, before the TIF expired in 2012. The Near North Crossing TIF, a tiny sliver at the corner of North Grand Avenue and Fifth Street, saw construction of a new shopping center, but the anchor tenant, Aldi, left in 2013. That space, along with several others, remains vacant, and the center has fallen into disrepair since the TIF expired. Thomas C. Pavlik is an attorney with Delano Law Offices LLC in Springfield.